Like treasure from an ancient king's hoard, our goblet echoes glories of the past and future. Two dragons guard whatever the chalic holds, their tails entwine three crystal balls. It holds a full 16 ounces, and measures 6 3/4" across at the top of the dragons. 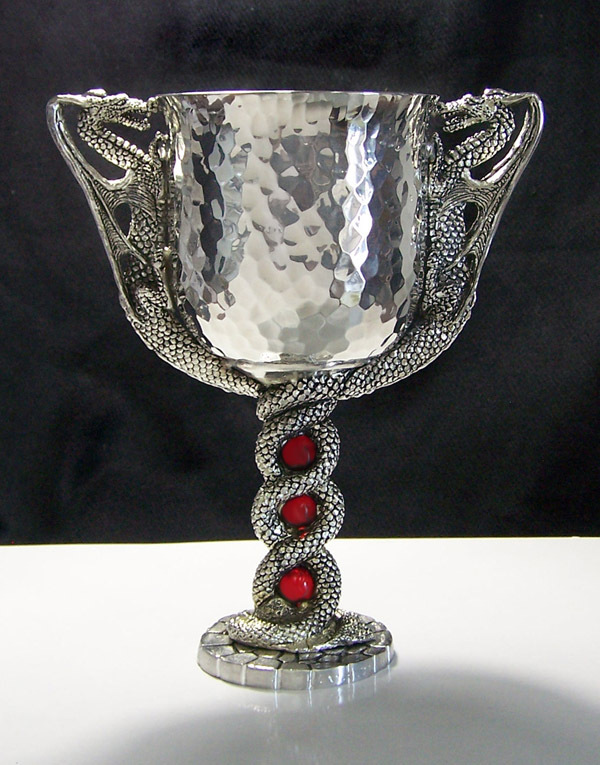 We make this goblet by hand from lead-free pewter, individually numbering each one, and will destroy our molds when the edition is done.